Singapore => Yong Peng (brunch) => Ipoh => Penang => Kuala Lumpur => Singapore. The first leg of our road trip was a stopover at Yong Peng after driving on the A2 for 1.5 hours. We had brunch at our favourite fishball restaurant, Yuan Yean Fishball Eating House. After brunch, it was a long 4.5 hours drive before we finally arrived at Ipoh. For some reason, the kids were too excited to nap so the 4.5 hours felt even longer! We were so grateful to have finally arrived at Weil Hotel, where we would be staying again this year (you can read more about our stay at Weil Hotel last year here). We had enjoyed its convenient location beside Ipoh Parade last year. That night we had dinner at Sun Tuck Kee because there was a 45-minute wait at the original Tuck Kee restaurant next door. Apparently Sun Tuck Kee was opened by one of the Tuck Kee restaurant family members, who was ousted due to politics I suppose. 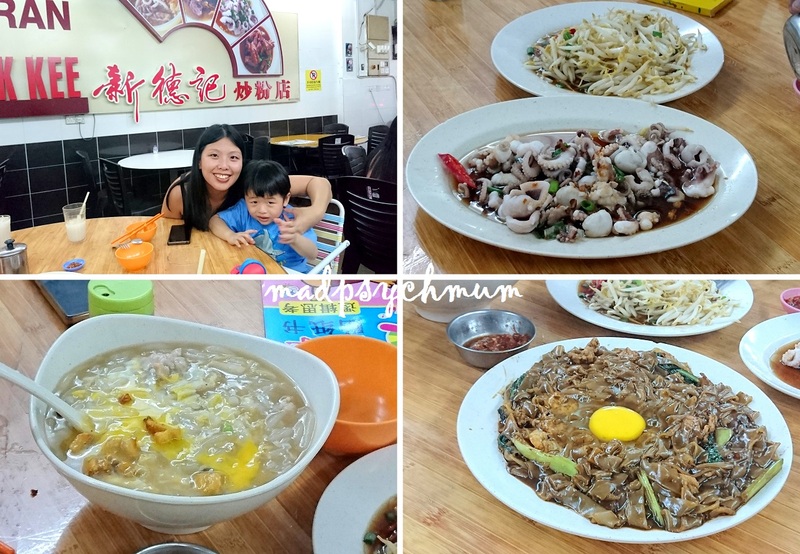 They offer almost exactly the same dishes and don't taste too far from the original although we still felt the original was better (we ordered Tuck Kee's famous fried kuay teow to go and loved it). Some noodle dish that was good but I can't remember what it was called. 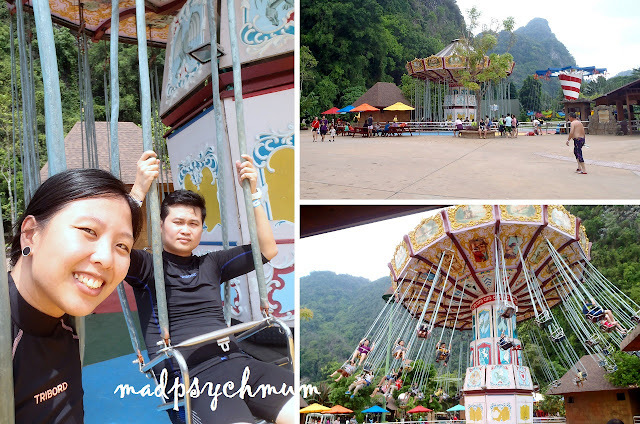 The next day after breakfast at Weil Hotel, we drove to The Lost World of Tanbun, the biggest themepark in Ipoh until Movie Animation Park Studios (M.A.P.S) opens its doors end June 2017. 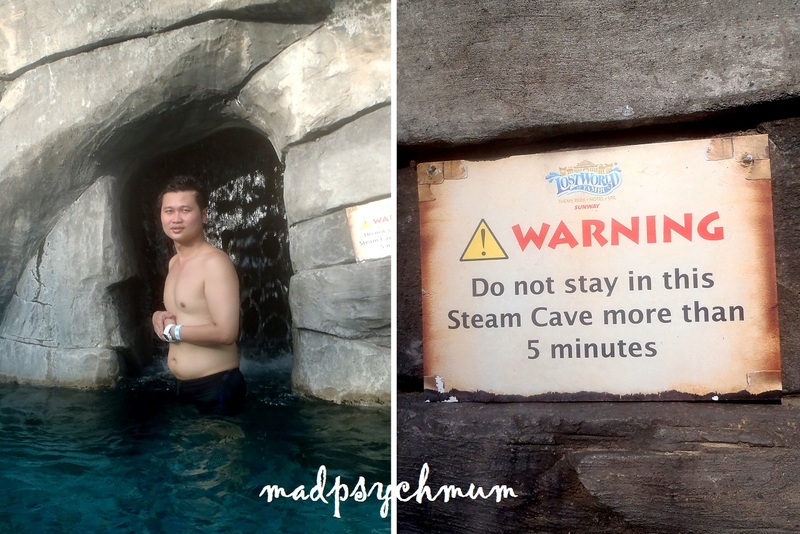 The Lost World of Tanbun is a super fun themepark with water slides, small rides, a petting zoo and even hot springs! 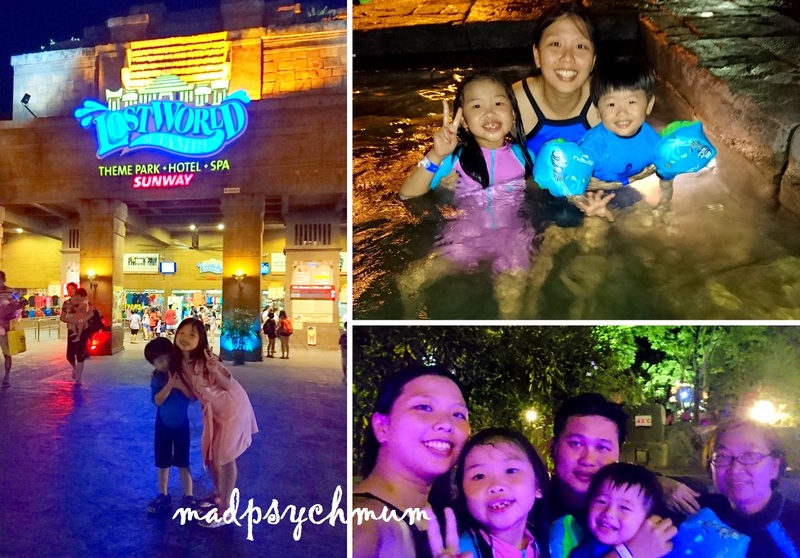 We decided to stay at Lost World Hotel, even though it was more expensive than Weil Hotel (cost us approximately S$220 per room per night) because of its close proximity to the themepark. The hotel room comes with 10% discount off entry tickets, breakfast and complimentary entry to the themepark after 6pm. The Lost World entry ticket allows you to stay in the theme park from 10am to 11pm but does not allow re-entry except for hotel guests. Hotel guests must also return to the park before 4.30pm otherwise they will have to pay for the evening entry. Hence, if you want to maximise your visit, you should use the complimentary evening entry tickets on a separate day than your purchased full day entry tickets. Alternatively, you can use the complimentary tickets and save on buying the full day tickets! 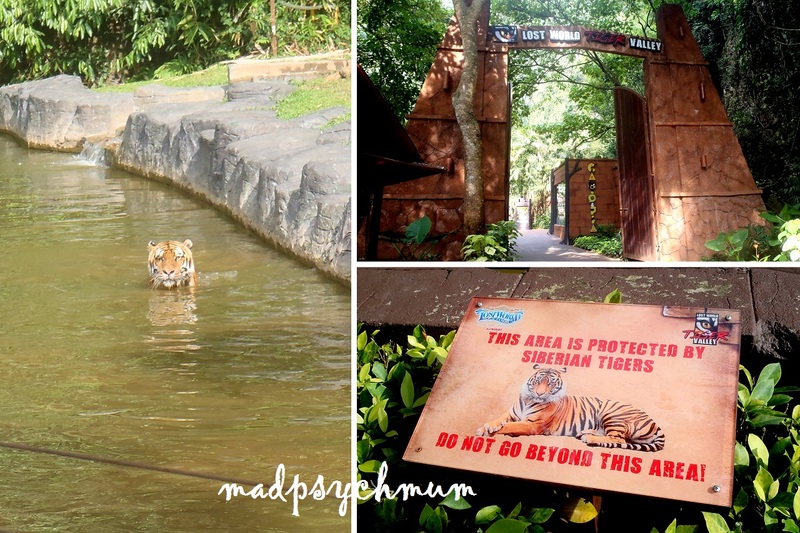 The only difference between the two is that the Petting Zoo and Tiger Enclosures close before 5pm so you won't be able to visit them if you didn't buy the full day tickets. Our rooms were not ready yet so we headed to the theme park first. There are lockers available for rent at MYR 20, 30 and 40 (based on size) with unlimited use throughout the day. We found that the MYR 20 locker was more than enough for our belongings. Welcome to the water park! Hubby and I getting ready to take on one of the slides. It was pretty fun! There were also carnival-like rides that visitors can hop on with no additional cost. There's also a carousel but I suggest to give it a miss because it went so slowly that anyone can walk faster than that! We had a lot of fun playing in the water until it was 3pm and time for the hubby and I to check in to our rooms (the kids continued playing with grandma). Of course you can decide not to check in until later but we wanted to move our stuff into the rooms so that we'll have everything we need by the time we get back later to wash up. 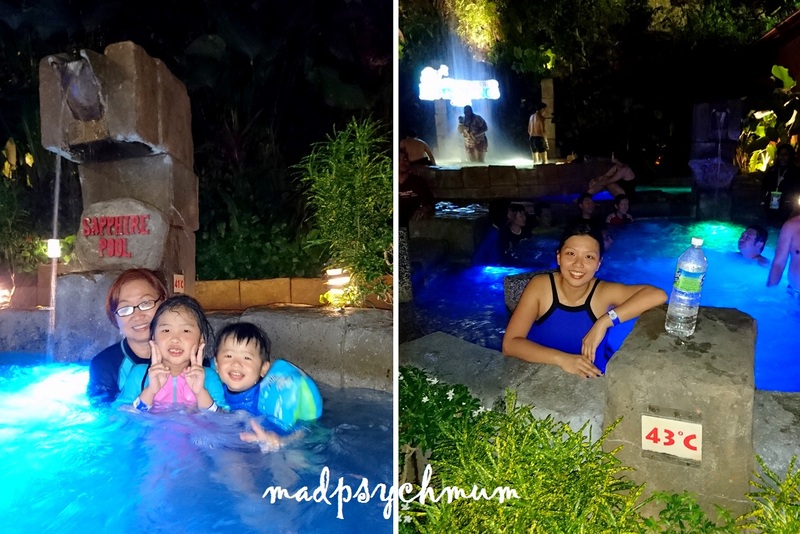 Our rooms did indeed face the theme park as indicated in the room description on Agoda; however, unlike Park Front Hotel in Osaka where we could see Universal Studios Japan very clearly from our room, we could hardly see the park. 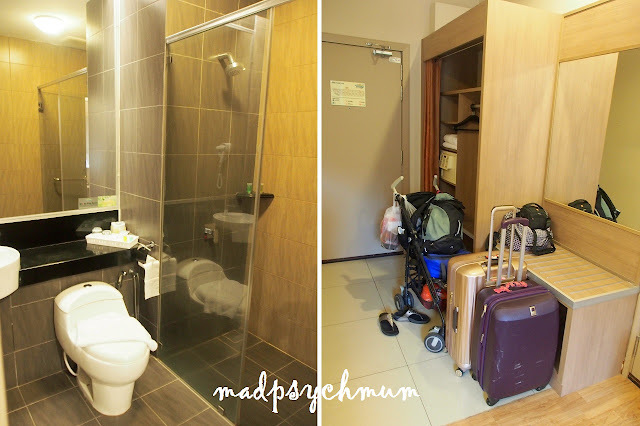 The room and facilities were also too basic to be worth the price we paid. Nevertheless, we would still recommend staying here for the convenience. By the time we got back to the park, we were starving! They had seats in water which is both cool and gross at the same time! After our tea break, we dried ourselves and continued to explore the rest of the themepark. Learning how to mine for tin. Looks really easy but man, it was hard work! 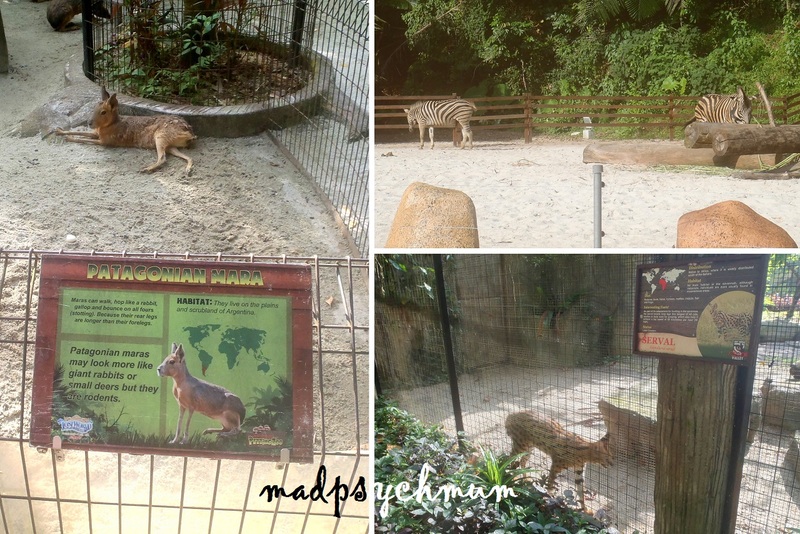 They even have a mini zoo with different animals! Besides the tiger enclosure, the Lost World Petting Zoo was also a highlight of the themepark. 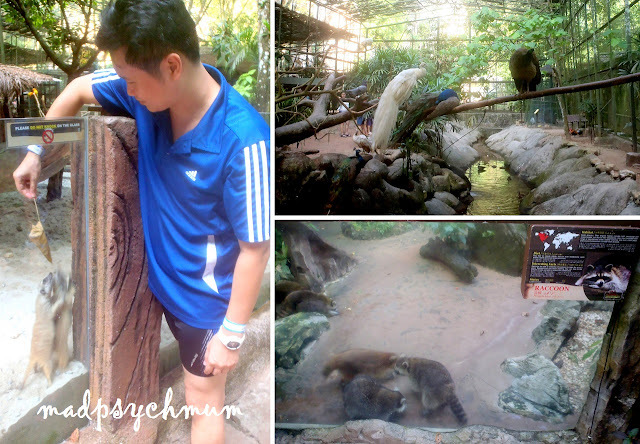 You could see racoons, birds and other animals up close. 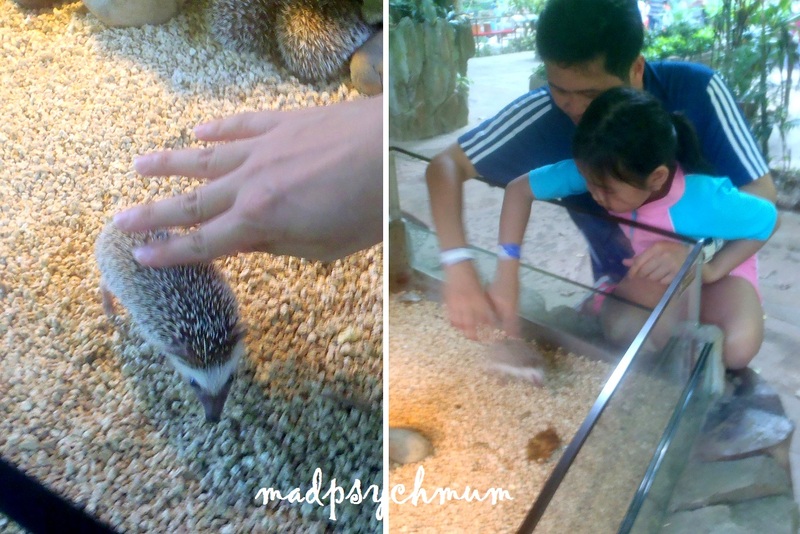 This hedgehog loves touch so much that he'd keep running up to let you pet him. Such a cutie! 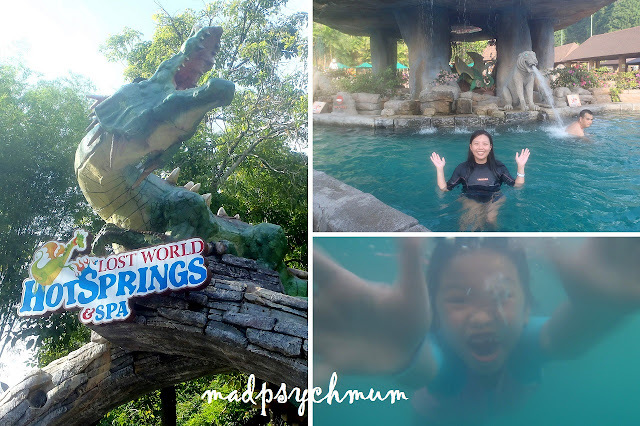 After having fun with the animals, we jumped straight into the warm waters of the Lost World Hotsprings & Spa! 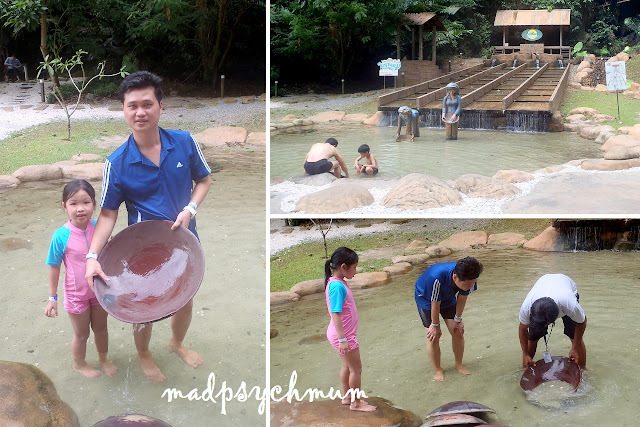 The temperatures range from 38 to 43 degrees celcius, depending on your preferences. There's a steam cave that act like a natural outdoor sauna! 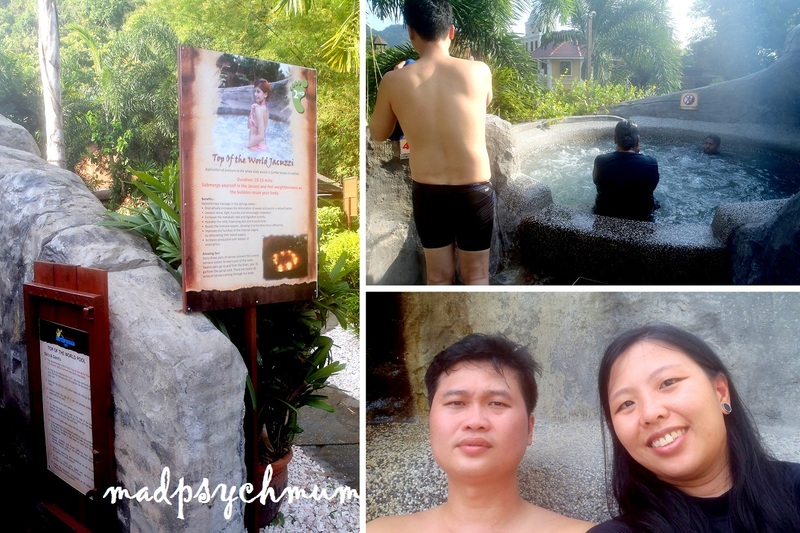 I was having a headache before I entered the hotspring pool and felt so much better after a good soaking. Since we had re-entry tickets, we decided to return to the hotel to rest before heading back in the evening after sunset. The park only closes at 11pm so there was still plenty of time to play! It was fun swimming in warm waters! Such a treat from the icy cold pools that we're used to in Singapore! 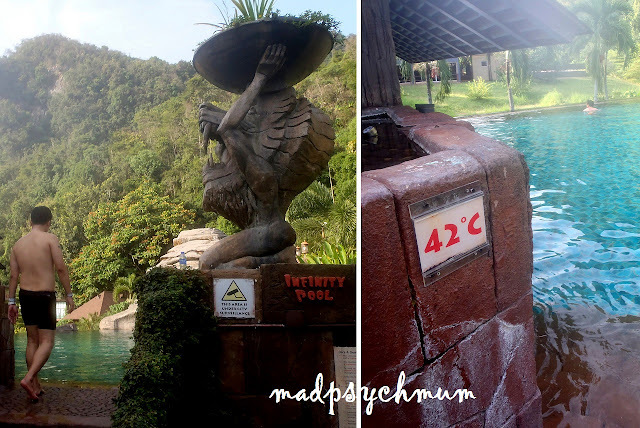 Right: Me taking on the hottest pool in the park at 43 degree celcius! 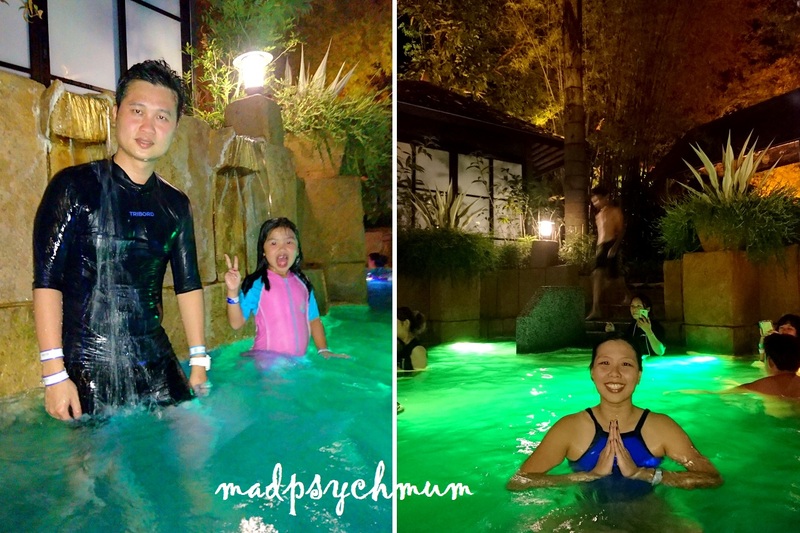 It was the only one that matched the heat that we had experienced in Japanese onsen.